Description: Use lifelike flashcard to aid vocabulary learning. 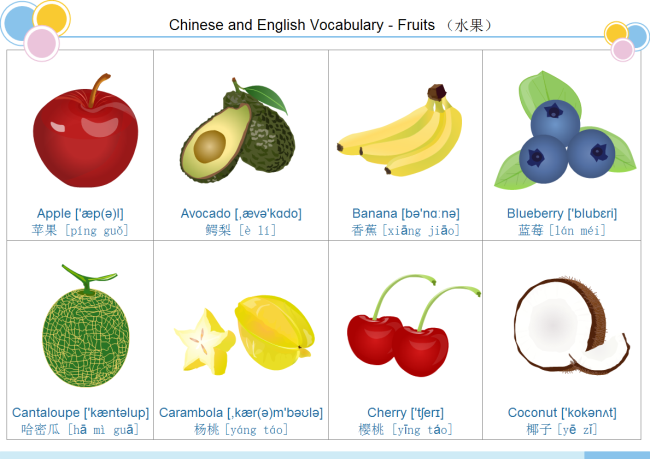 Here is a beautiful fruit flashcard example. Both English phonetics and Chinese Pinyin are added, quite useful.